Allows to carry passengers and even goods but only on non-highways. Must have a fully enclosed body with a steering wheel. Should not weigh more than 550 Kgs for transporting goods. Maximum seating capacity of 3+1 for transporting passengers. Maximum seating capacity of 1+1 for transporting goods. Rexin, cloth or plastic cannot be used to cover the top / side of vehicle like 3W's. Maximum length fixed to 3.7 metres for transporting goods. No active or passive safety features defined. 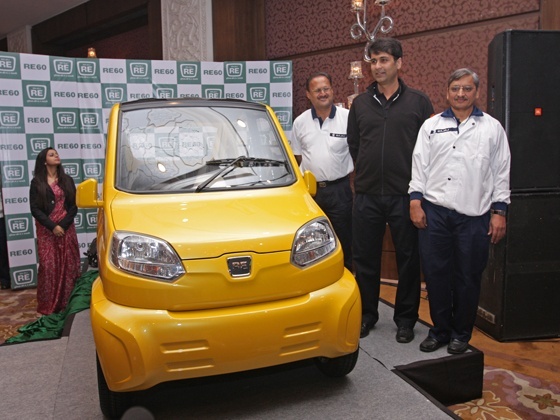 To Comply with similar emission norms as 3W's- less stringent compared to cars & trucks. Government is current taking proposals from various people opposing or favouring the class of vehicle in India. A 30 days open period is already in process for discussion and making a final decision on the same. Other auto makers like Piaggio and similar currently develop Quadricycles in Europe and says need some time to manufacture same in India. "There has to a level-playing field to facilitate potential manufacturers to develop and offer products for the local market. We will wait and watch for any decision on quadricycles for the future," said Ravi Chopra, chairman at Piaggio India. More details could be seen here.